California rapper Azad Right has been a fixture on this blog since he was really just getting his start and now he is getting closer to becoming the new face of hip hop. 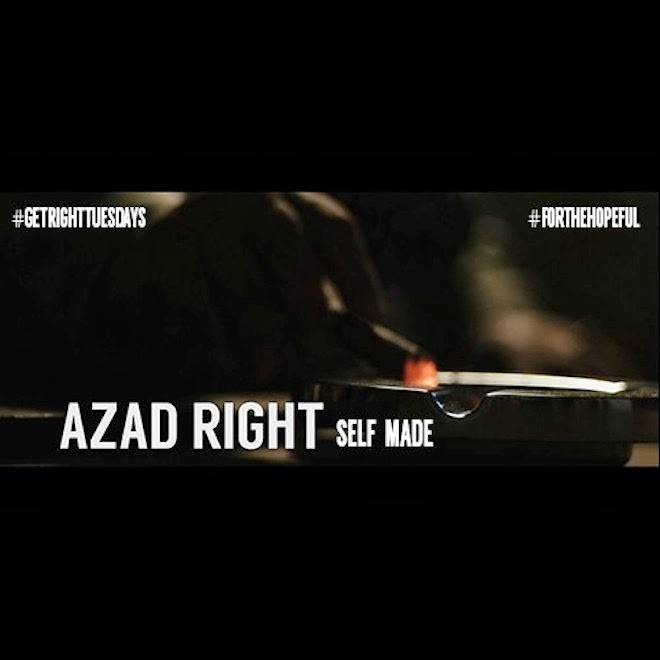 He started a new series he is dubbing #GetRightTuesday and is back with another jam called "Self Made." This one finds Azad rapping over a soulful beat produced by ChromeBully. On this, he is sounding more hungry than ever and is ready to prove himself to all the others who doubted him that he indeed shall be taken seriously. We know we do. Stream and download below.